As always, when it's ready. how much additional content/features it will include? The next update is almost entirely just fixes and adjustments for what was found in 2.0, there won't be a significant content update for a good while. I've been binging playing the game and I noticed that any promoted or mounted units are unable to use Iron Longbows. Is that an intended feature? I ask since I've seen 2 different enemies with only iron longbows as their weapons in sawyers route, chapters 3 and 4. Plus when you first get Deborah she also has an iron longbow that's unusable, and Horace as well iirc. Mounted are not able to use long bows, infantry of any kind should be able to. It's been fixed in the next update. To preempt any "It's fee3 where's patch?" questions: we're really close to being done (19 bugs/fixes remain, out of the 100+ we ended up having after the 2.0 release), but the demands of real life have set us back a bit further than expected. Assuming nothing goes catastrophically wrong, the patch should be ready by the weekend of November 2nd. And here's something to look forward to, the animations for one of our two magic flier promotions: Harrier, who uses anima and dark magic. After several users have asked to see what we're working on in real time, we've created a running changelog of things that we have done/are doing/plan to do to the game. It will be updated as soon as we complete new things, so make sure to keep an eye on it! I'm hoping there won't be bugs but there's probably going to be undiscovered bugs still because that's just how this seems to go. If we end up needing more time I'll update things accordingly. I have no idea why or how it broke but currently every custom track makes the game crash so I guess we're delayed indefinitely until that gets sorted out. until like tomorrow. Hey folks! Galastan here, back to fill you in on the latest Staff of Ages news. As we showed off in our FEE3 presentation, Chapter 1-4 – Revolution has received a huge overhaul, complete with a new map, a new and better story, and some foreshadowing bits that make future story beats more cohesive. It isn’t an uber-mega difficult map, as it *is* only Chapter 1-4, but it should be a bit more interesting to go through than old 1-4. Most units have had their personal skill overhauled, in part to increase balance of personal skill power across the board and make units more interesting to pick up and play with. Class skills, especially so for promoted classes, have also been overhauled for the same reason. We’ve added quite a few new palettes to units’ promoted class options. We’re not done implementing all of them yet, but we’ll have a patch come down the pipeline as soon as we get our hands on the Team SALVAGED Paladin animation, complete with all promoted character palettes and the new paladin animation. Chapter 1-F – Crown of Thorns has, as MarkyJoe might say, been cut in three. This should make the chapter less tedious for being only the equivalent of Chapter 12. It isn’t the definitive ending of the game anymore, and doesn’t deserve to be as big of a labyrinth as it once was. The rewards you gather should more or less be the same, however. In an effort to make infantry classes a more viable option in comparison to fliers and cavalry, we’ve increased their power by increasing their promotion gains across the board, alongside granting them new infantry-only weapons: the Pike and Broadsword. These work similarly to the Shamshir in that they’re locked to a certain class tree (the Soldier family and Mercenary family respectively). We’ve also buffed Shamshir up to the standard of these new weapons and locked the Longbow family of bows and all siege magic to infantry classes as well. Alusq has composed some new music tracks, which you can find scattered around the game. Finally, we’ve added a new class to the game: the Nephalim line! This character class is a mage mounted on a pegasus. In their base form, Nephalim can only use Anima magic, but the class does have two promotion options that extend their magical capabilities: Harrier (which you may remember from Fire Emblem Echoes: Shadows of Valentia) can use Anima and Dark, whereas Deva uses Anima and Light. Julia is now a Nephalim at base, and is the only Nephalim you can recruit in the available maps in this build. And there's a fairly comprehensive set of patch notes in this very topic. The game is now complete? No, not at all. From what I understand the number of chapters hasn't changed at all, in fact. This version is all about bugfixes, rebalancing and some stuff being switched out with new, other stuff. Exactly this, 2.0 released in a very messy state and we've been hard at work fixing things. We missed a few things but overall it's a lot less buggy than 2.0. Updated the DL link for the patch, fixed a few gamebreaking issues and made some quick balance adjustments to Sofia and the Landsknecht's promo gains. Is it possible to transfer my save from 2.0 into 2.1 on mobile? Are we even able to transfer saves from 2.0 to 2.1 in general? I downloaded the game Sunday, unaware that there would be another update, and I would rather not replay everything I just played. Is there a list of promoted class skills? With how much changed the two versions are fairly incompatible and would require starting over due to the changes. I love the new 1-4. Makes a lot more sense. Not crazy about Eagle's new skill. Never been a fan of skills where I have to keep track of turns. As well fell in general for FE at least one or two of the early turns on mid/late maps are spent positioning/getting into enemy range which reduces the amount of time you have to use its full bonus. I'm... not really sure the 2nd Javelin drop in 1-5 is needed? My Eagle is sitting there with the previous one untouched. Even if somebody was to use it in the previous map its still probably at around 16/20 uses. I mean if Axel and Darius don't have a Javelin between them in 1-7 by all means drop another one here I guess, but I kinda feel that dropping an Iron Axe for Elijah or a Steel Lance for Eagle would be overall more helpful. Particularly the Steel Lance: Eagle has good speed but only average strength/strength growth so he's going to double a lot. He's a lot more likely to be wearing down the Iron Lance than the Javelin: mine is at 27/45 at the start of 1-5 and that's with me trying to feed kills to other characters as the two mages were a tad behind where I wanted them to be level wise. Actually, here's a weapon count before killing the 1-5 boss. Don't know if it helps, but it might give a general idea of weapon usage from other people playing the game. Uhhh... is it a known glitch where a non-promoted mage can use a Mend staff to heal allies? Cause that's happening with the Mage who drops a Mend staff in 1-8. Its at 19/20 right now, lol. Redownload again I fixed Julia making the game explode, you'll have to start over from S2-1 for it to work though. I'm new to this forum and all that, was looking for some modded FE games and came across this, it's beautifully done and I'm very glad I found it. I downloaded the newest patch and am currently on 1-8 at the moment. I've encountered a small bug, I don't know if it's been addressed but I figured I'd show it up in case it's currently an unknown. Shortly after recruiting Lily, maybe 1 or 2 turns, all of my units are showing the maximum stats they can attain I think once evolved. 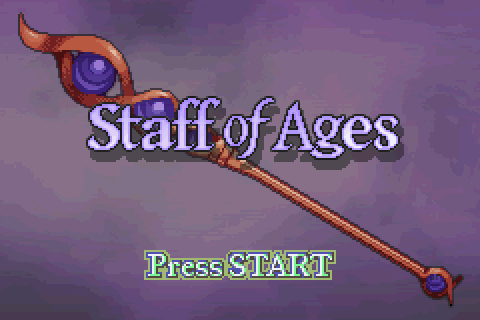 A question I have as well is if the bugfix about the mend staff on mages that don't have stave skills is live, as I encountered it on the current version on this chapter as well. Thank you Galastan and your team for creating this hack. It is amazing.